I've been to Hop Farm a number of times, but I had no idea that they served food. 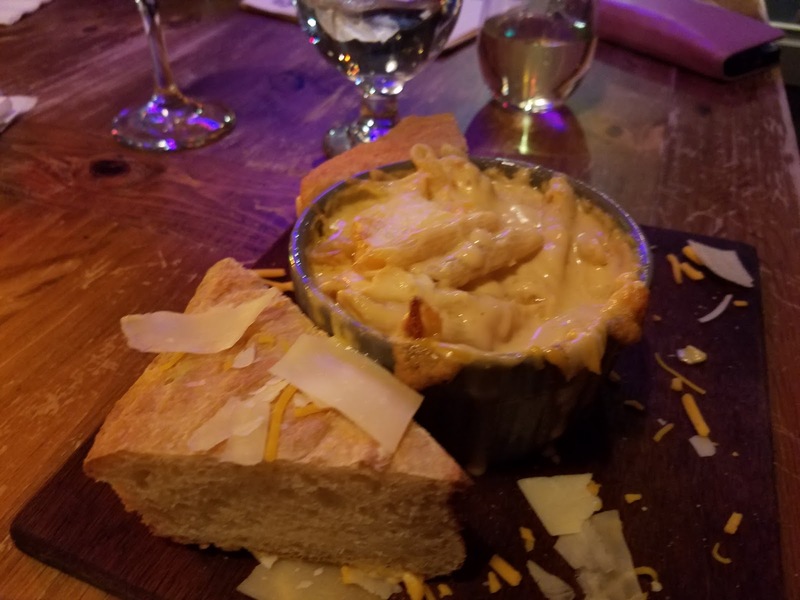 Pictured above is the gouda mac and cheese. It was actually penne and cheese and it was basically an entire bowl of cheese soup. It was delicious and quite indulgent. I would not recommend trying to eat an order of this by yourself. 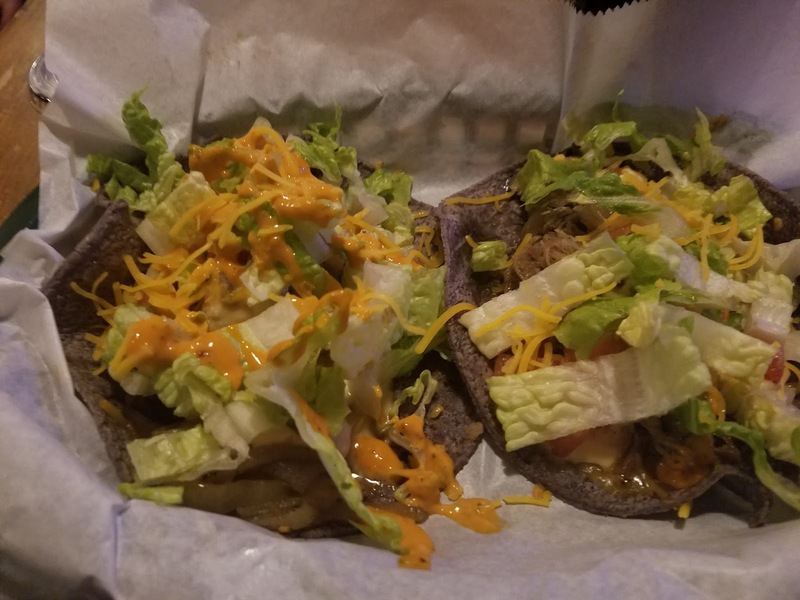 Although Hop Farm has a regular menu, Thursday is their taco night. They serve goat, pork and tofu tacos as well as a pork burrito. 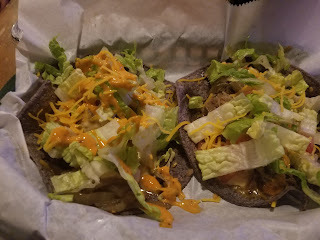 I was pleasantly surprised by the quality of the tacos. A nice sized portion of meat, a decent tortilla and pretty good toppings. The goat was significantly better than the pork. Much juicer and better flavored. I was shocked when I noticed that no one else from my party had ordered the goat. I think goat gets a bad rap. It seems entirely overlooked in the American diet along with mutton and hogget. Be adventurous! Try the goat and Apis mead and lose those inhibitions when visiting Hop Farm.